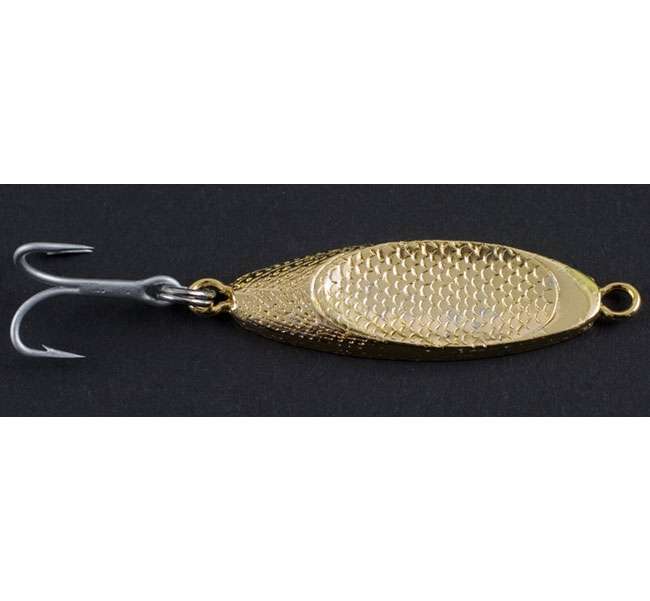 The Gold Sea Scallop catches a wide variety of fish from blues, stripers, albies, and bonito... and crosses over to fresh water to get lake trout, brook trout, and salmon! 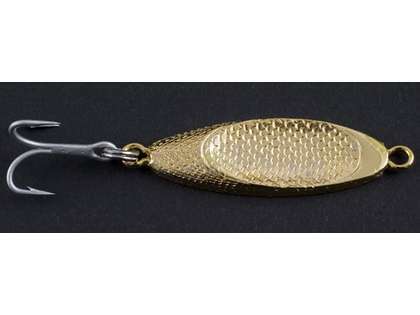 Point Jude Lures Gold Sea Scallop (3/4 oz) catches a wide variety of fish from blues, stripers, albies, and bonito... and crosses over to fresh water to get lake trout, brook trout, and salmon! Awesome and productive, what more could you want? Good alternative to Acme's Kastmaster.